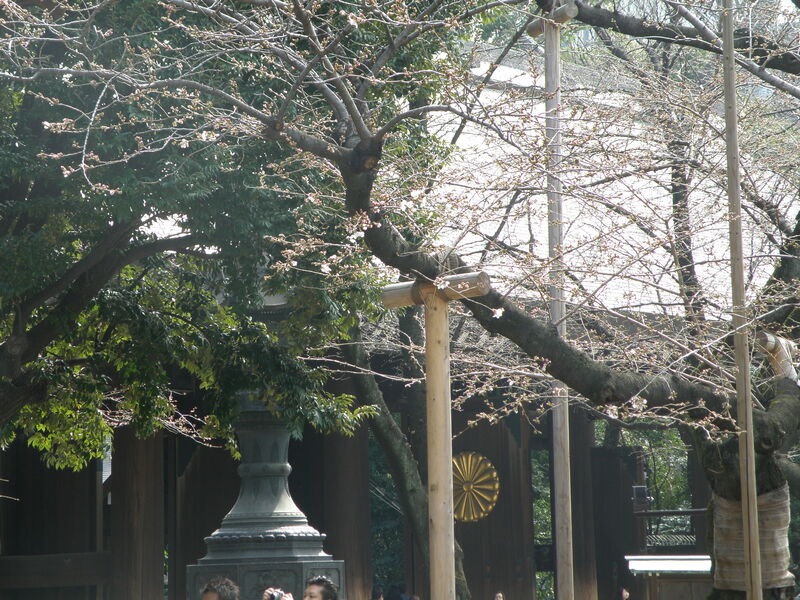 This year’s exhibition was March 17th; we were fortunate in that the weather cooperated, and had mild, indeed spring-like weather, and even a few early sakura (桜: Japanese cherry) blossoms. 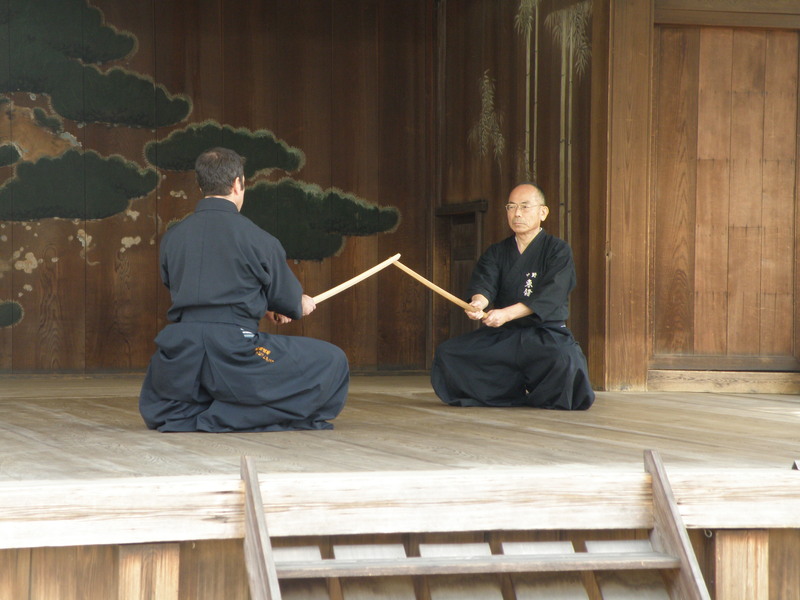 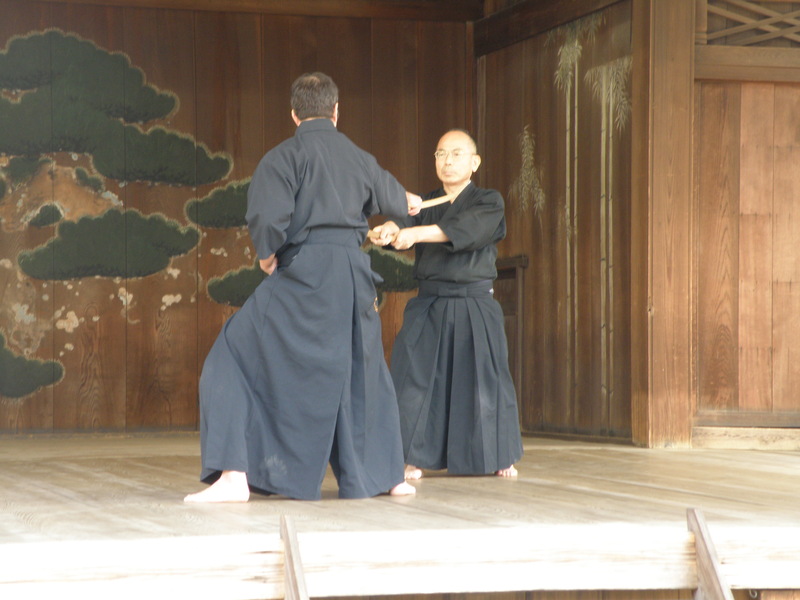 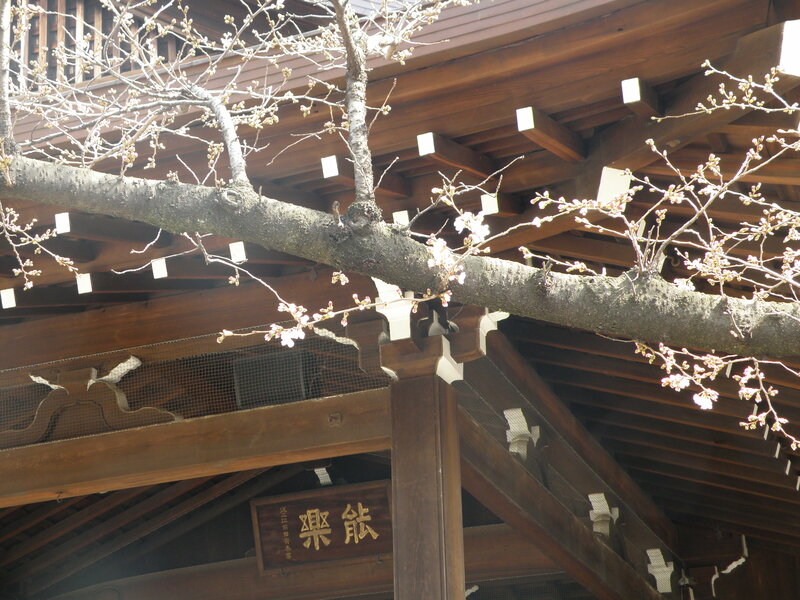 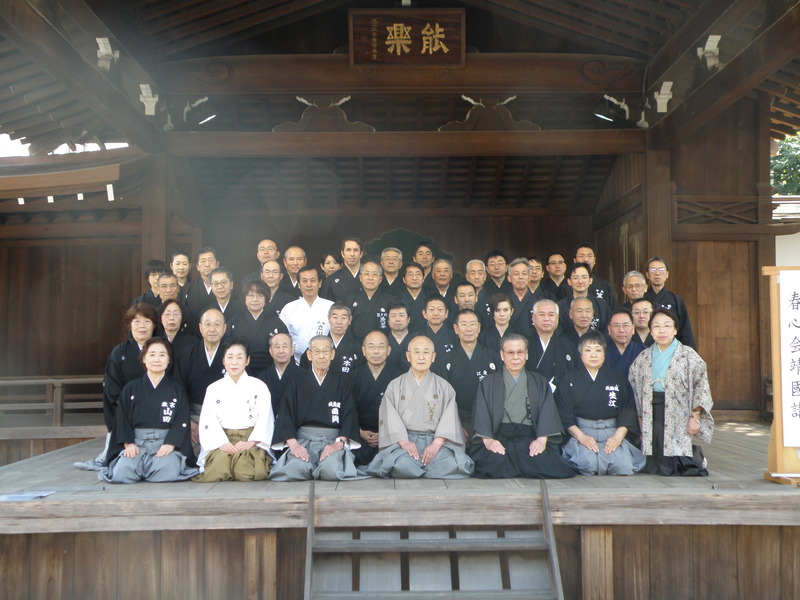 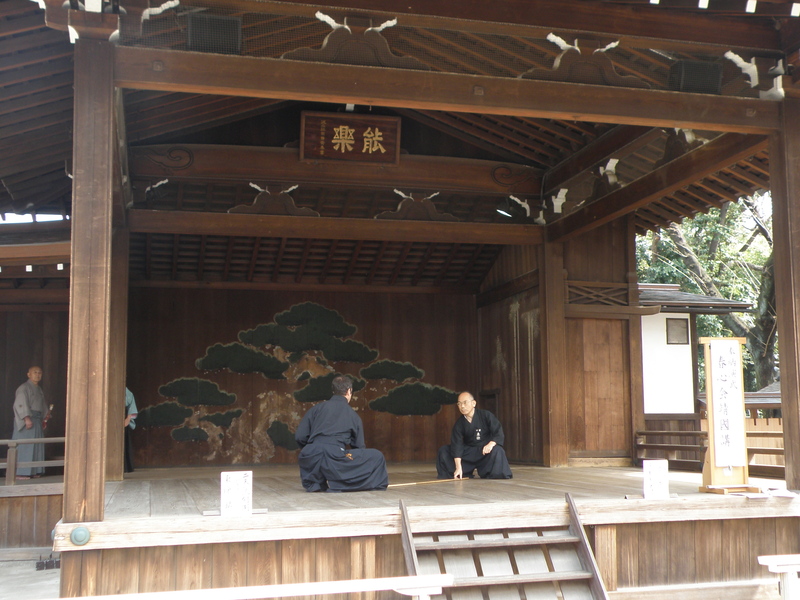 The atmosphere of the shrine is very conducive to a feeling of gravity and connectedness to tradition, so it is always a deeply compelling experience to participate in the event. 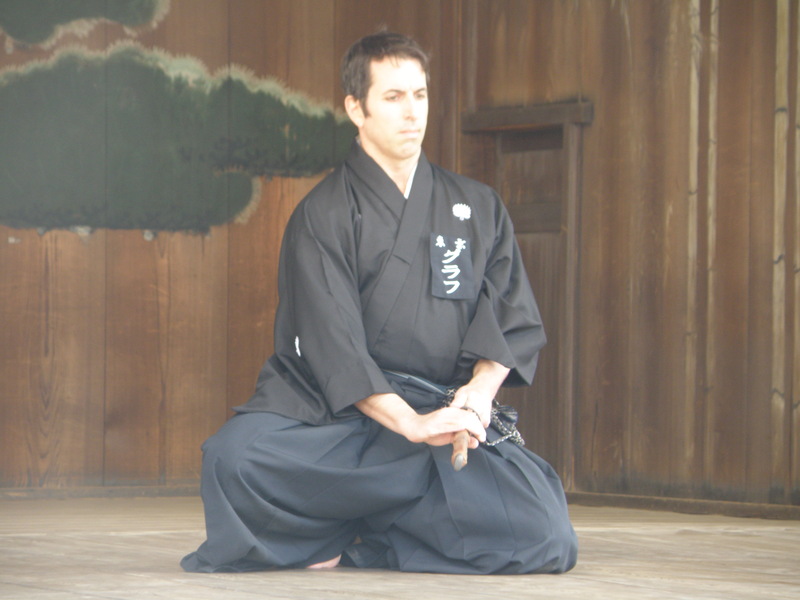 This was my first time to perform iai in public wearing the formal montsuki, a kimono top usually bearing the wearer’s family crest, but in my case this time the mon (紋、crest) of our dojo. 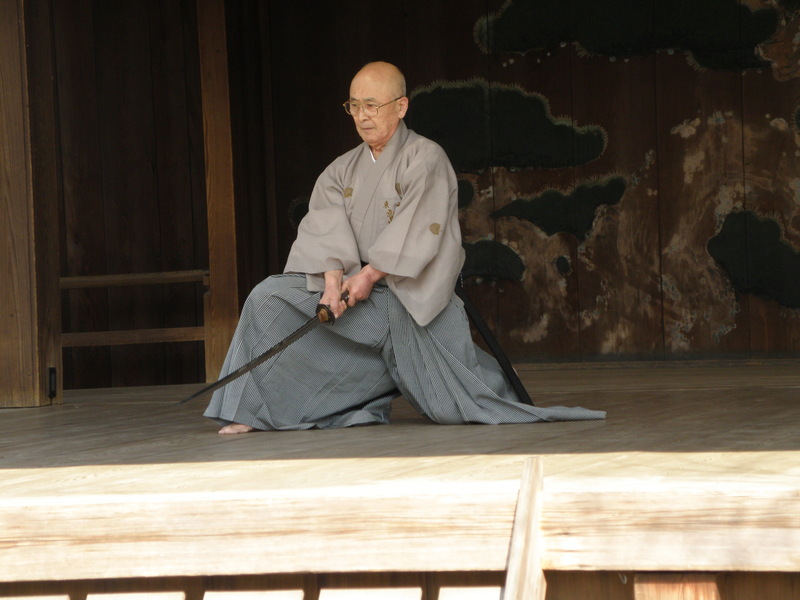 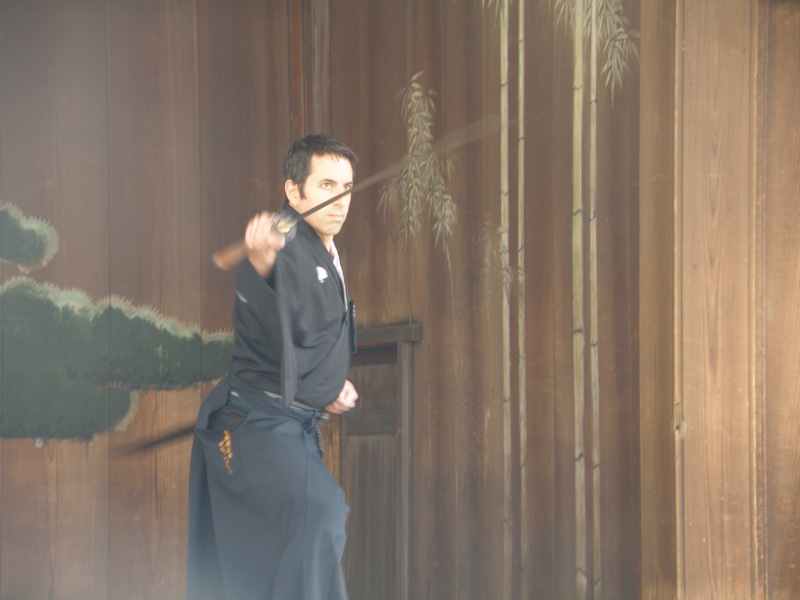 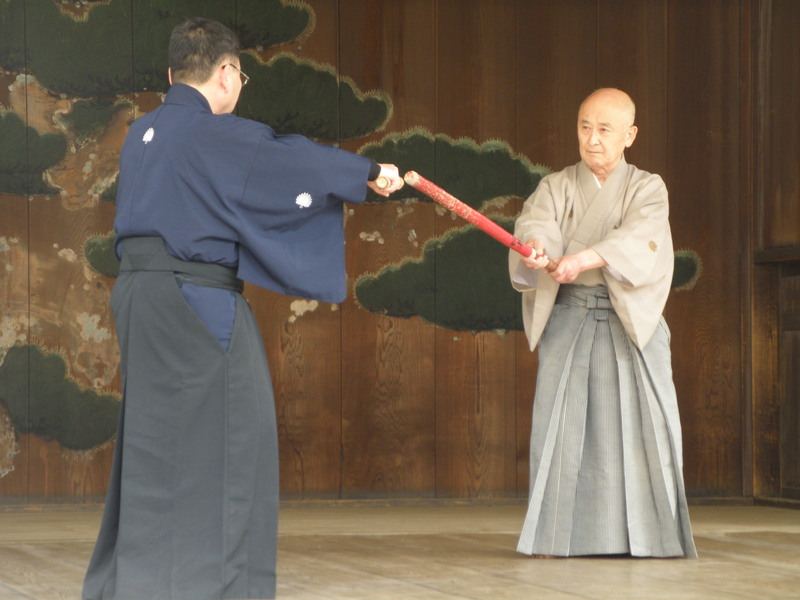 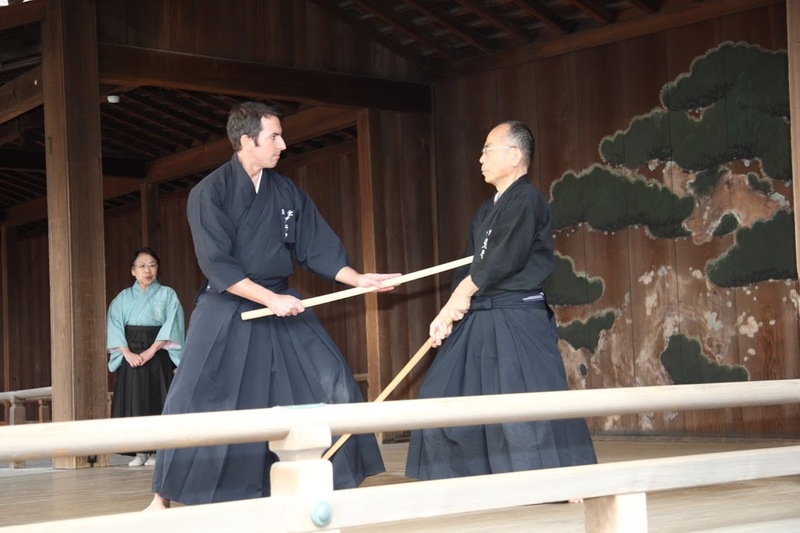 I also participated in an exhibition of Miyamoto Musashi’s Ni Ten Ichi Ryū style of swordsmanship.